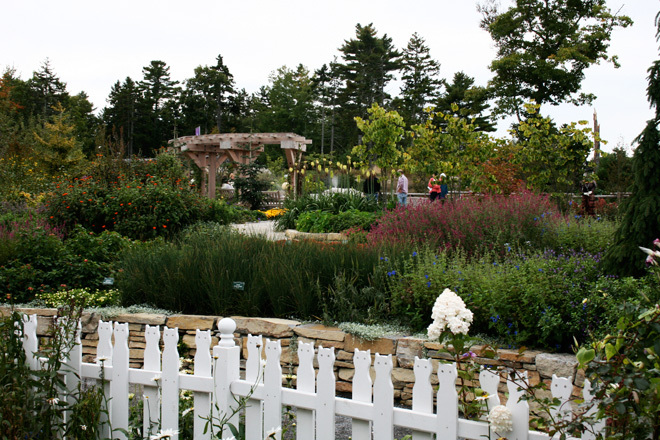 Coastal Maine Botanical Gardens is a gem of mid-coast Maine. Set against the tidal Back River, it has something to offer for almost everyone. 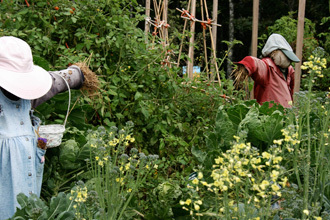 For the children, an amazing garden full of whimsical delights, colors, and activities. 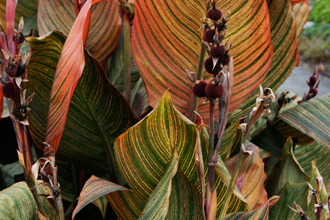 For the horticulture set, a deep understanding of plants and design that baffles the imagination. For the typical person, a sanctuary away from it all where you can walk quietly among the beautiful granite stone pathways and admire the landscapes, flora, and foliage. The earliest notion of a botanical garden in mid-coast Maine was the brainchild of Rollins Hale of Boothbay Harbor back in 1991. Like many things in Maine, what started as a idea turned into a full grassroots initiative that blew into a full scale project. A total of 128 acres of land was purchased, with 3,600 feet of tidal shorefront by the initial board of directors, some of whom put their houses up as collateral to fund the project. A team of award winning landscape designers worked through the years to complete numerous stages of the project. The Maine Cottage style Visitor Center was erected in 2006 and is a hub of activities. It’s open and airy with abundant common areas, a gift shop, and Kitchen Garden Café. When I visited, there was an entire fiber arts display with spinners spinning wool, and weavers creating intricate tapestries. My kids enjoyed the wonders of the yarn and silkworms chomping away. The Kitchen Garden Café served wholesome, tasty food, that was both organic and local where possible. We had brought a picnic that we ate in the picnic area, but enjoyed homemade chocolate chip cookies and yogurt for an afternoon snack. Around us, people noshed on homemade soup and salads, or thick sandwiches and chips. Right outside, the kitchen garden, full of herbs and greens, is a reminder for all just exactly where the food came from. In June of 2009, the Lerner Garden of the Five Senses opened. My kids, seven and eight, loved exploring this garden. They embraced the idea and spent a blissful twenty minutes, feeling, tasting, sniffing the plantings, and listening to the water features. The center of the garden was a huge hit. We followed the instructions and took off our shoes and socks to walk across the smooth river stones that got smaller as we approached the center. Here, the kids made a wish, just because they wanted to. The Bibby and Harold Alfond Children’s Garden had its grand opening this past summer. It is pure magic for young and old alike. The entire garden captures the imagination with its sculptures, fantastical paths, and interactive exhibits. My kids spent a good hour, exploring, moving fast from thing to thing, before they slowed down and started to find small points of interest. They sniffed a perfect flower, watched a caterpillar prepare to cocoon, and read a book in the Story Barn. As a former educator, I appreciated the fact that this experience was totally exploratory with nods to Maine based books. The kids threw a lobster trap into the water, they sat on a bronze bear cub from Blueberries for Sal by Robert McCloskey, and traversed across a rope bridge in tree house. The fairy houses were down the path, a reminder of the original woods. 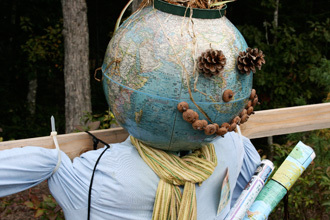 Along with its many miles of walking trails, Coastal Maine Botanical Gardens has a plethora of activities that are as interesting as the gardens. For $5, my family joined a group of families to create a scarecrow. The kids picked out clothes, painted the face, and stuffed our scarecrow “BOB” into a life-sized man that is now living in our front yard. We finished the day by pressing our own cider in the cider press. Future activities include a yoga in the garden, The DaPointe String Quartet’s: Leaf Peeper Concert, a Halloween Family Fright Night, and a fascinating sounding Frozen Turkey Hunt in November. The admission fee is $12 for adults with discounts for seniors ($10), and children ($6). Those under three are admitted free of charge. There is no admission fee from December to March. Daily from 9AM - 5PM year-round (closed Thanksgiving and Christmas). In January, February and March, the Visitor Center is open only on weekdays when the administrative offices are open.